Based on the experiences of Garrard Conley and adapted from his memoirs, Boy Erased follows the son of staunchly-religious parents who forced him to partake in a gay conversion therapy program in an attempt to "cure" his homosexuality. With conversion therapy still legal in 36 American states, it's quite clearly an imperative issue that needs addressing and Joel Edgerton's clearly compassionate project attempts to bring awareness to the loathsome practise. Boy Erased is perhaps the straightest gay film made. A well-intentioned, empathetic piece that hopes to rally and lead to change, Edgerton's sophomore effort means well but lacks the understanding of how to best execute to tackle such an urgent message. Restrained and unassertive, there are a handful of flaws that prevent it from being the film it so clearly wants to be, leading to an increasingly frustrating exercise so hesitant to demonstrate intimacy that it fails to resonate nearly as powerfully as it should. Released in the shadows of the superior The Miseducation of Cameron Post - which deals with almost identical subject matter with far more warmth and shade - Boy Erased is a far more rigid and stiff exploration of the trauma caused by such abhorrent practices. Observational but rarely active, the film is so submissive that it elects to tell, rather than show, meaning it grapples with its own identity at times; when we need to see vulnerability in our characters, there's a wall; when we need warmth in the face of such hostility, there's none; when the messages need haste, the film steps back instead -- a sudden time jump surrenders the weight of one serious development that still perplexes me a few days removed. On paper, the potency of this matter is unparalleled but Egerton's screenplay simply struggles to capture much verve. It isn't just the screenplay that stumbles in its execution. 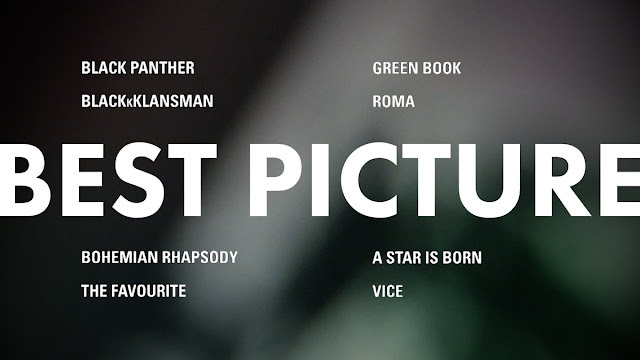 Aesthetically bland, Boy Erased, with all due respect, looks like a Lifetime Movie: the colour palette varies only between shades of beige, ironic given the film's tendency to do the same. It comes down to a lack of intimacy between the characters, almost as if Egerton was afraid to commit to actually presenting a genuine homosexual relationship - or, in fact, a single moment. We see the odd touch, a longing stare but it's stripped of any affection and it barely registers beyond our pre-existing connection to the character's situation: anyone with a heart will invest themselves in Garrad's story, but it's rarely through the effort of the film. Its passive in its direction and seems more content in observing than actively commenting which, in my personal opinion, is the incorrect decision for a film as important as this one. Boy Erased is really carried through on the strength of its performances. Lucas Hedges is exceptional in the lead role and completely deserved to be a stronger element of the award season conversation. Like the rest of the film but more effective here, it's an understated and considered turn and his attempt to soften the character is clear and appreciated; even when the film is hesitant in exploring his vulnerability beyond one early flashback sequence - which wanders into dangerous, uncomfortably backwards territory - Hedges' earnest performance imbues the character with a real gravitas. It's superlative work and easily approaching the best work of his career to date. Nicole Kidman is on reliably terrific form, providing a textured and always-compelling supporting turn. Strongest when the film is exploring the mother-son dynamic, Hedges and Kidman are tremendous opposite one another, examining the relationship with insight and depth. While the film lets the parents off the hook pretty willingly, it considers the conflation between faith and sexuality competently. Russell Crowe is fine, as are Troye Sivan and Xavier Dolan when the film gives them something to do beyond staring intently. Sivan's other contribution - his song Revelation, featured on Saunder Jurrianns and Danny Bensi beautiful score - marks the film's most profound scene. Boy Erased's heart is unquestionably in the right place and you cannot help but applaud its intentions, but following so quickly in the footsteps of Miseducation - a film full of so much warmth and shade - this appears a strangely cold affair. Restrained in its intimacy and lacking in its vulnerability, the execution is surprisingly bland but the powerful subject matter and true-life story do most of the heavy lifting, alongside the splendid performances from Hedges and Kidman in particular. If Boy Erased is disappointing it is because it could have been so much more; while the pros outweigh the cons, it struggles to convey the urgency with as such bite as it needed. I'd absolutely recommend Boy Erased -- but The Miseducation of Cameron Post, and even Disobedience, capture the dichotomy between faith and sexuality more compellingly. Maybe watch all three and realise the severity of a method as hateful as gay conversion therapy: emotional abuse under the pretence of spiritual healing. 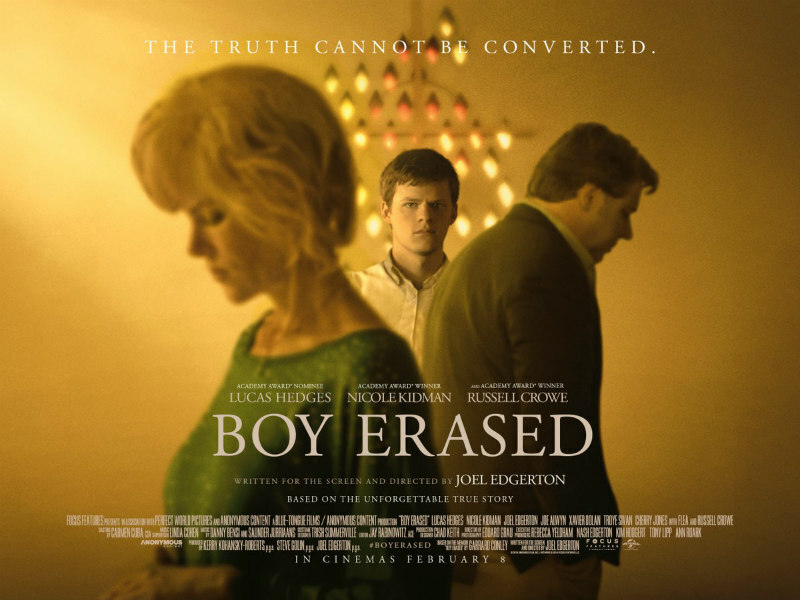 Summary: Boy Erased's urgent message is delivered with too much restraint to resonate as deeply as it should have, but tremendous performances from Lucas Hedges and Nicole Kidman, as well as the good intentions of such an adaptation, makes up for its shortcomings.